As a college coach, whether you discover athletes from searching or from receiving promotions, you can add any athlete to your My Recruits list. Not only is it a great way to filter out recruits who are potentially a great fit for your program, it's also allows you and your coaching staff to keep track of and monitor the development of recruits over time. When you add an athlete to your list, that athlete's coach will receive a notification asking him/her to release the full profile to you, which includes the athlete's contact information. 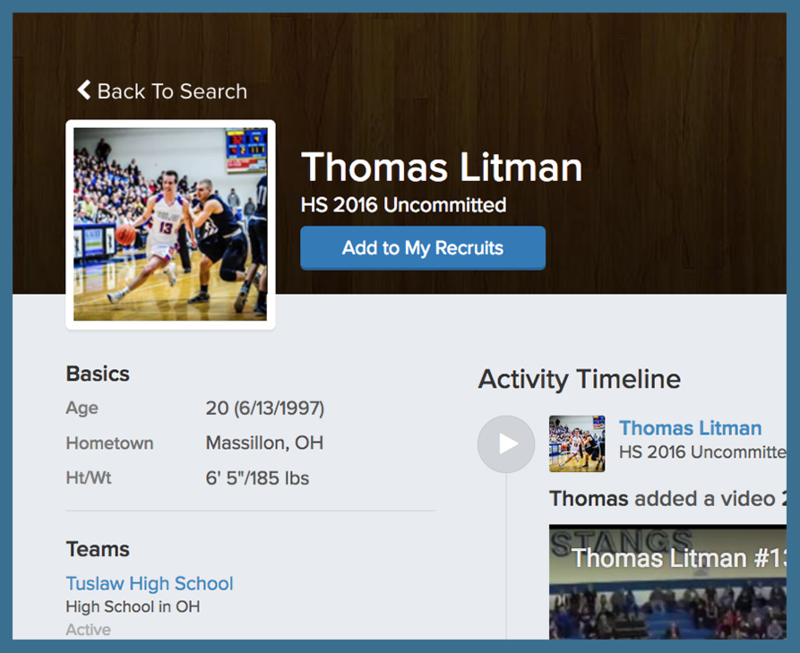 You have the ability to direct message any athlete on your My Recruits list by simply clicking the Direct Message button in the athlete's profile. 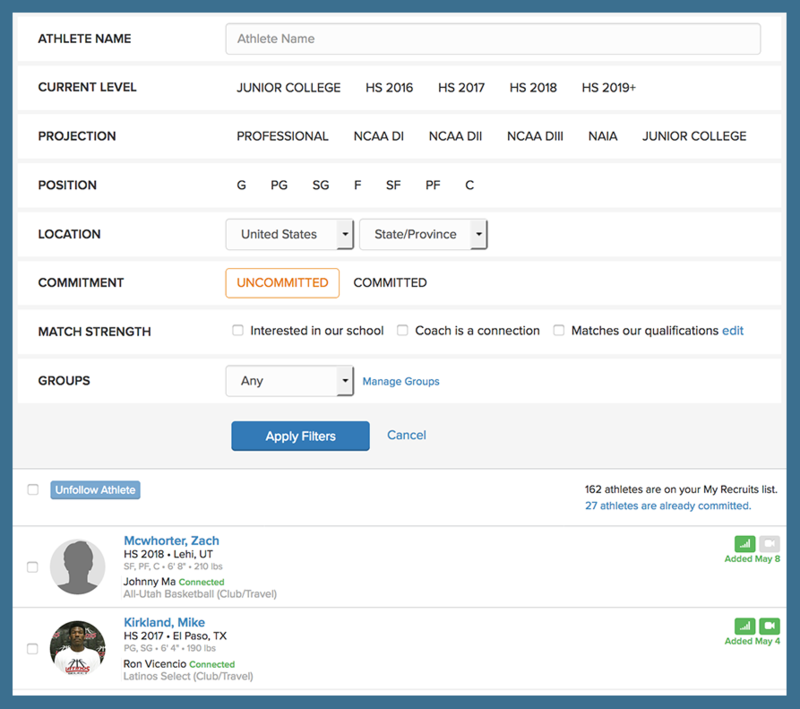 Your My Recruits list has a number of filters you can use to more easily find recruits, very similar to the filters in the athlete search feature. You also have the ability to assign recruits to particular Groups (e.g. "2017 QB's" or "Texas Prospects"). Once you've created your groups, you can assign any recruit to that group.